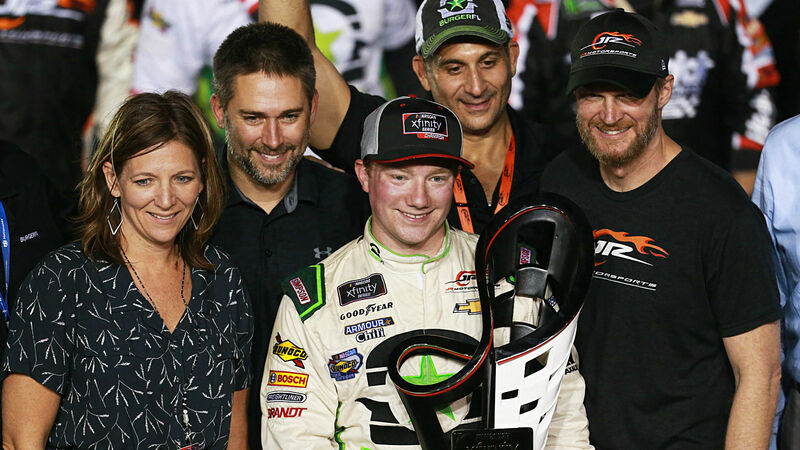 HOMESTEAD, Fla. — Tyler Reddick was the only driver of the Championship 4 who really liked run the top Saturday, and his willingness to do so paid off with a race win and a NASCAR Xfinity Series title. Charging forward in the top lane, even though it meant an occasional brush with the outside wall, Reddick pulled away from pole winner Cole Custer during a long green-flag run to the finish to win the Ford EcoBoost 300 by 6.902 seconds. “I picked a really good time to get my life together and decide to win a race,” an elated Reddick said in Victory Lane. Finish, (starting position), driver, manufacturer, laps completed. Time of race: 2 hours, 8 minutes, 6 seconds. Margin of victory: 6.902 seconds. Caution flags: Two for 10 laps. Lead changes: Five among four drivers.